After the recent redesign, the ES 350 is one of the finest mid-size luxury sedans you can find around. It offers an amazing balance between price and quality, but there is much more than that, in fact. Excellent comfort, luxurious cabin and good handling are just some of the strong points of this sedan. Typically for the Japanese carmaker, the list of safety features is impressive. Given the recent Lexus ES 350 redesign, we would normally expect to see no bigger changes for the second production year. However, you can bet on them. The first thing that comes to mind is drivetrain, as the current model comes with front-wheel drive in the offer only. So, the 2020 Lexus ES 350 AWD will be one of the biggest novelties for the next year. Of course, we should see a couple of additions in terms of standard equipment, while some reports also suggest some tweaks to the transmission. In terms of base design characteristics, the 2020 Lexus ES 350 will definitely remain the same. The recent overhaul has brought a lot of big improvements and the one that comes to mind first is the platform. Just like the rest of new Toyota models, this one also switched to a new TNGA platform. This is one of the main reasons why this sedan now features such amazing handling. Speaking of the handling, there is a choice of two suspension setups. 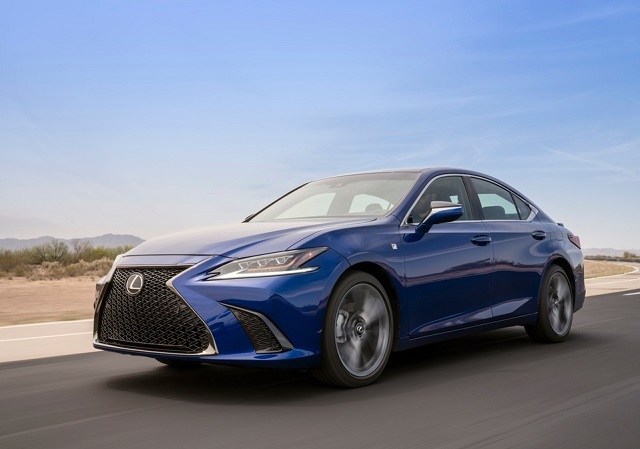 Base models already offer quite good driving characteristics, but you can also count on the 2020 Lexus ES 350 F Sport. This one comes with adaptive suspension, which makes this sedan even more athletic, without sacrificing any comfort. In terms of aesthetics, we definitely won’t see any notable change. The recent Lexus ES 350 redesign has brought to us the brand’s new design language, which includes the latest version of the company’s famous spindle grille design. Practically, the best we can see in the next year is a couple of new color options in the offer. 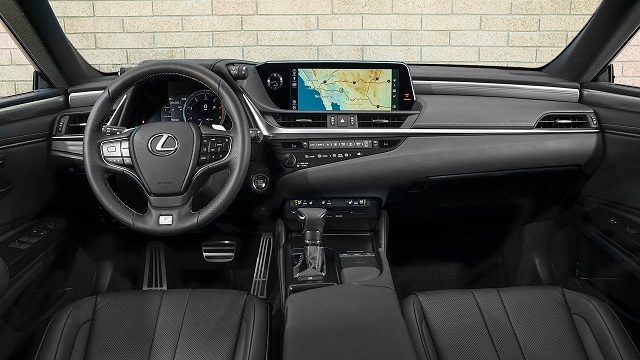 If you find 2020 Lexus ES 350 interior familiar, that’s because the dashboard resembles the mainstream Camry for a bit. However, things are far more luxurious in this case. The first thing you’ll notice in this sedan is that all materials feature excellent quality. Also, the dashboard looks very stylish, thanks to nice color combination and a large center screen on the center stack. Seats are also amazingly comfortable, with plenty of support and a lot of adjustabilities. If there’s a point to even mention, both rows of seats are extremely generous in terms of legroom, while the cargo area is very generous. You can count on about 17 cubic feet in the trunk, which are some of the class-leading numbers. Besides excellent interior quality, this sedan also offers a generous list of standard equipment. Of course, the first thing that comes to mind is the infotainment system and other goodies. Base models come with things like 8-inch display, Bluetooth, smartphone integration, and a Wi-Fi hot spot. In higher trims, you can get a bigger 12.3-inch screen, as well as navigation, premium sound system. The list is quite long, but a big complaint goes to the design of an infotainment system, which is very complicated to use. Like in many other Lexus models, there is no touchscreen, but rather a touchpad that is located on the center console. On the other side, there is really nothing to complain about safety features. The Japanese carmaker in one of the industry leaders in this aspect. The list of standard safety systems is pretty long and includes things like a pre-collision system, oncoming vehicle detection, low light pedestrian detection, daytime bicyclist detection, adaptive cruise control, road sign assist, lane departure alert with steering assist and road edge detection, lane tracing assist and many more. 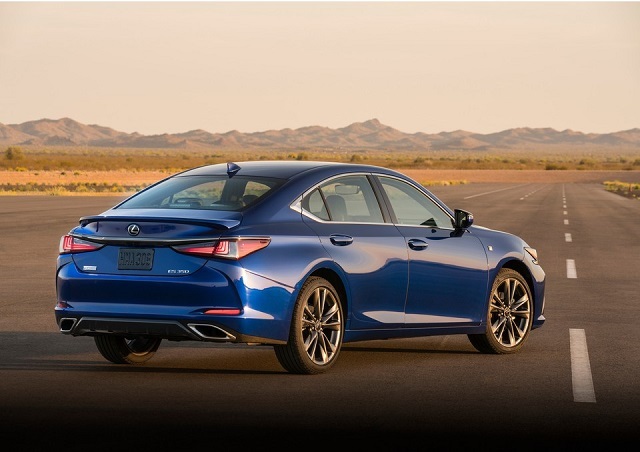 When it comes to the 2020 Lexus ES 350 specs, it would be important to mention that the next year definitely won’t bring changes under the hood. We are about to see the same 3.5-liter V6 engine, which delivers around 300 horsepower. With such amount of power combined with very good handling, you can count on pretty amazing overall performances. Things will get even better once you realize that this sedan also features a pretty amazing fuel economy. The 2020 Lexus ES 350 mpg ratings won’t change, so you can count on 22 mpg in the city and 33 mpg on the highway. However, this doesn’t mean that we won’t see novelties for the next year. Latest reports suggest that we are finally about to see 2020 Lexus ES 350 AWD version in the offer. Also, not a small number of drivers complained about slow downshifts. So, it won’t be a surprise if the company do something with the generally very good 8-speed automatic transmission. Despite the potential changes, we don’t expect any earlier arrival than usually. The 2020 Lexus ES 350 price should also remain pretty much unchanged, which would mean around 40,000 dollars for base versions.